CONDITIONS OF OCCUPANCY1.Please note that this venue is staffed by VOLUNTEERS and fees are charged for the upkeep and maintenance of the venue and for the development of athletics locally.2. Teachers are expected to arrive at their nominated arrival time otherwise our Custodian may lock the premises and leave and you will be charged a cancellation fee. Should you be delayed, please contact our Custodian as soon as possible.3. Our Custodian will arrive at least 30 minutes before your scheduled departure time. Please note that a staff member/responsible adult must remain in attendance at all times until the Custodian arrives. If you wish to depart earlier please call our Custodian ASAP. All hirers should ensure that all Equipment is returned to its correct place as advised by the Custodian.4. A fully stocked & serviced canteen is available at no extra cost if student numbers exceed 150. At least 14 days notice is required before your competition date when Booking or Cancelling the Canteen. No other food sales can be conducted in conjunction with the canteen or at any time by any third party without the express permission of BPAC. A $200 penalty will be applied to the final invoice where this condition is not met5. First Aid Room ‐ the first aid room will be available for use provided that a qualified Level 3 (Occupational) first aid person or an external first aid organisation is in attendance (First aid equipment is not provided).6. Athletic equipment such as Shot Put, Discus, Javelin, Cones, Tape Measures/Spikes, Starting Guns, Starting Caps, Ear Plugs and Stop Watches are NOT supplied by the venue and are the responsibility of the hirer to provide.7. BPAC reserves the right to charge a cleaning surcharge or $40 per half hour if the Pavilion/Grounds is left in an unclean condition, this includes failure to sweep the pavilion floor, failure to mop as required, kitchen benches not wiped down, toilets excessively dirty or graffiti removal and the cleanup of excess rubbish inside boundary fence lines.8. The pavilion and all areas inside the outer perimeter fence are to be left in a clean and tidy condition. ALL refuse is to be collected and placed in the outside bins provided for that purpose.9. Any misbehaviour or act of vandalism during the period of occupancy may render the hirer ineligible for future use of Ballam Park. In particular, unauthorised entry into, or climbing upon any building within, or fence surrounding the Ballam Park is prohibited.10. The hirer is responsible for all restitution costs incurred as a result of any damage suffered during the period of occupancy. If vandalism/damage does occur a bond may be required in the future.11. The use of, or interference with any equipment not subject to the hiring agreement is prohibited. It should be noted that:• Weights are not to be removed from the hurdles• No sand is to be removed from the jump pits, or placed on the run‐up’s or track.• On conclusion of the jumping events, all sand on the run‐up and concrete surrounds is to be swept back into the pits which must then be raked level.• Students are not permitted on the Running Rail, Lane Barriers, High Jump Sheds or inside the Pavilion.12. All warming up is to be done in the back straight for track events and on the grass inside the running rail for field events. Long throws (discus/javelin/hammer) are to be conducted only from the safety cages and under the supervision of an official.13. Only the Public Address System provided by the Venue is to be used at Ballam Park. Use of that system is to be restricted to announcements and not for running commentaries on events in progress or for the playing of music. Ballam Park is located in a residential area, please be considerate of our local residents 14. The following restrictions on running shoes apply:• Only 7 mm spikes are to be used on the running track or field event run‐ups.• Only 9 mm to 12 mm spikes are to be used on the Javelin run‐up.15. Only starting blocks with approved fastening devices are to be used ‐ 12 mm spikes (fastening devices) only, NO pegs or pins.16. Competitors wearing spiked shoes must use approved starting blocks for the start of all running and hurdle events up to and including 400 m and the first leg of all relays.17. Should this booking be cancelled on the day of the hiring due to poor weather conditions or any other reason, a fee of $50 for cancellation and setup will be charged (an additional $50 cancellation fee applies if electronic timing gates are booked) and an acceptable alternative date will be arranged. Note that this cancellation fee will not apply if the Custodian & Booking Officer* is notified of the cancellation prior to the day of the hiring. *This is especially required if the Timing Gates are to be cancelled.18. The Ballam Park Athletic Committee accepts no responsibility for injury to any participant or spectator using the facility during the period of hire. The hirer shall have suitable public liability insurance to provide coverage against claims should such an injury occur.19. Internal rubbish bins are not to be used outside the Pavilion.20.The green chairs are not to be taken outside the Pavilion. 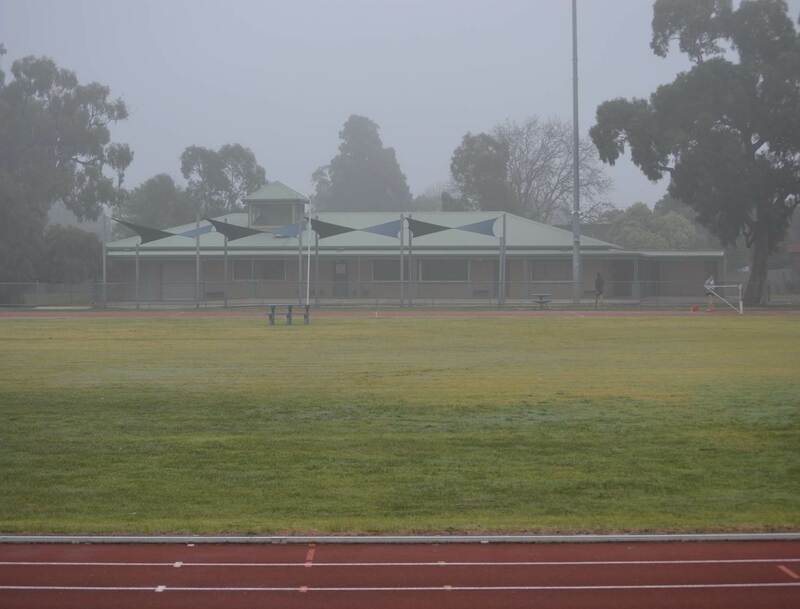 You acknowledge that you have read and agree to comply with the included conditions of occupancy for hire of the Ballam Park Athletics Facility and that all relevent staff and students will be made aware of these conditions. (please note if you are not using Google Chrome then your selections may not appear as ticked on the printed form).